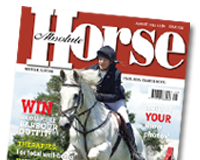 Internationally recognised expert in the field of exercise physiology, Dr Marlin, explores the topic of equine nosebleeds. What causes them? As a horse owner should you be concerned? Are they preventable? Check out our November edition for this special report.